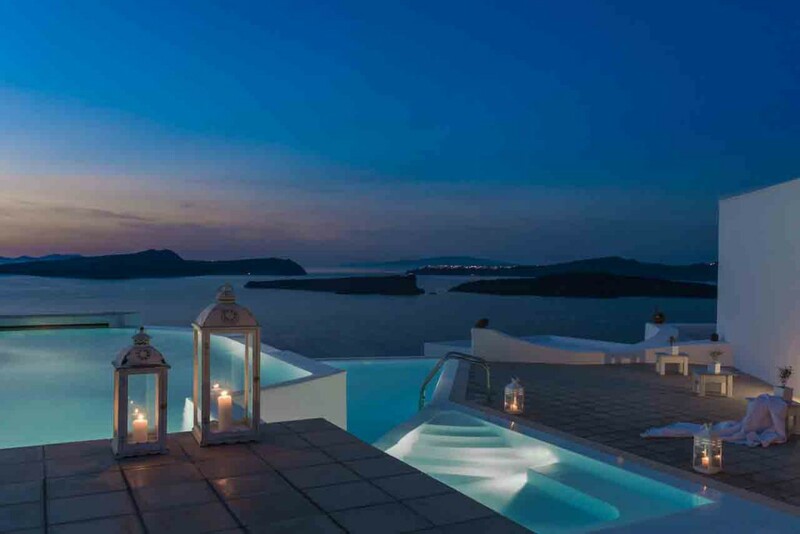 With its white washed walls and panoramic views, Apanemo Hotel is a little piece of Santorini heaven. 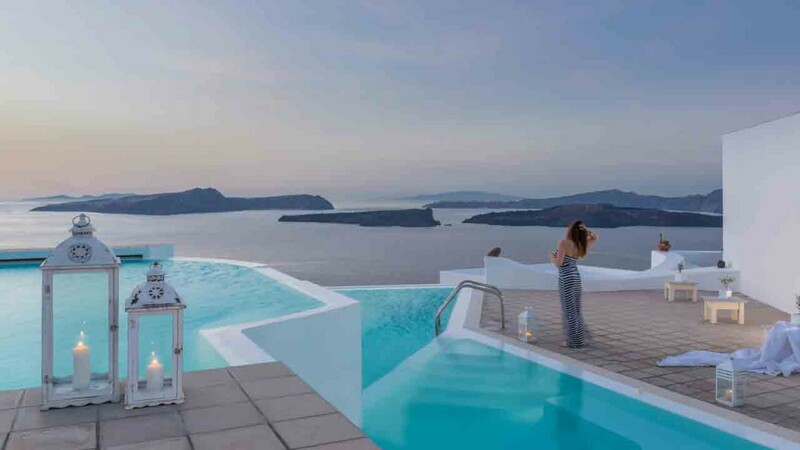 These 25 traditionally designed apartments overlook the Bay of Caldera, each with its own private balcony – each room clean and minimalistic with its own personality. Like a small community, it has everything you could hope for and accommodates every age group. A beautiful setting with friendly staff and local amenities will ensure you leave enlightened, relaxed and fulfilled. The Apanemo Hotel is a unique set of apartments and rooms, each individually designed with ample space and own unique features. The double rooms have sea and garden views while the other suites and rooms offer sea, Caldera and Volcano views, loft bedrooms and lower level living space and kitchenettes. All rooms are air conditioned and come with their own TV, fridge, hairdryer and daily cleaning service and outside there is a stunning 3-level swimming pool, children’s pool and Jacuzzi. The hotel also offers private parking; free WIFI, breakfast room, bar and an inclusive daily buffet serving homemade food from 08:00-10:30 hours. There are also some great benefits for families with special offers for children and free stays for children under two. Pets may be allowed upon request and stay free! 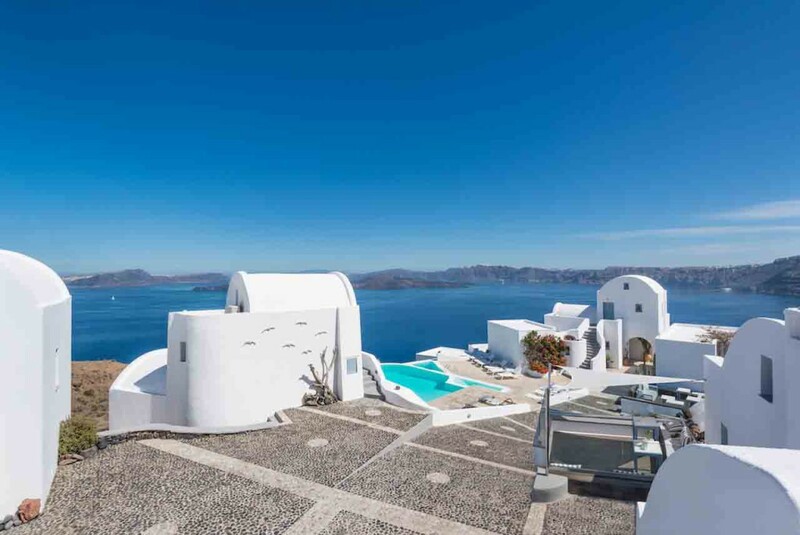 Situated about 200 km from mainland Greece, Santorini is an island in the southern Aegean Sea created from a volcanic eruption which resulted in the current geological caldera: a giant lagoon surrounded by steep cliffs and hills. Created from a violent volcanic eruption the island now resides in peace and harmony with nature. Pleasant weather year round with highest temperatures observed in June-October. Should you want to leave the hotel, there are some great local amenities including beaches, shops, castles, volcanoes and wineries. The hotel itself is situated only 20 minutes from the airport and 12 minutes from the port, so it is easy to get to and local bus services will get you around the island fairly cheaply to explore. Easily accessible by foot is Caldera Beach and further afield is Balos, Kamari and Red Beach or Perivolos which offers water sport activities and a selection of beach bars. 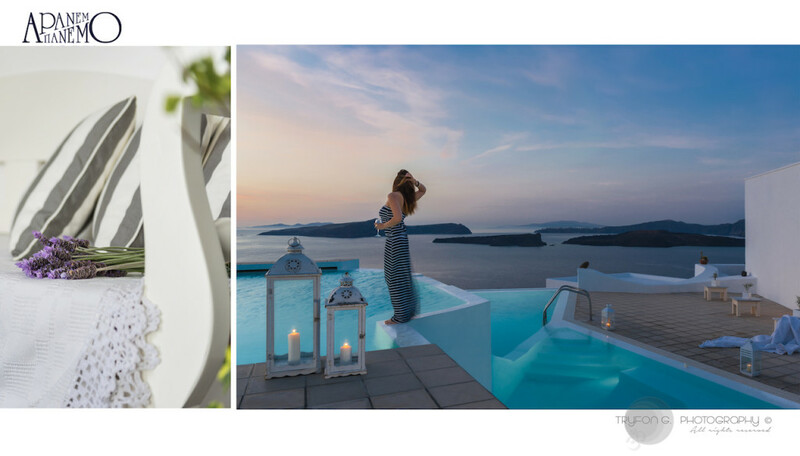 If it is picture postcard perfection you are looking for then be sure to visit Oia to take in the famous Santorini sunset and hillside architecture. Fira, the island’s capital, houses shops and nightlife spots and in contradiction Pyrgos will let you experience a stunning, traditional village and castle. 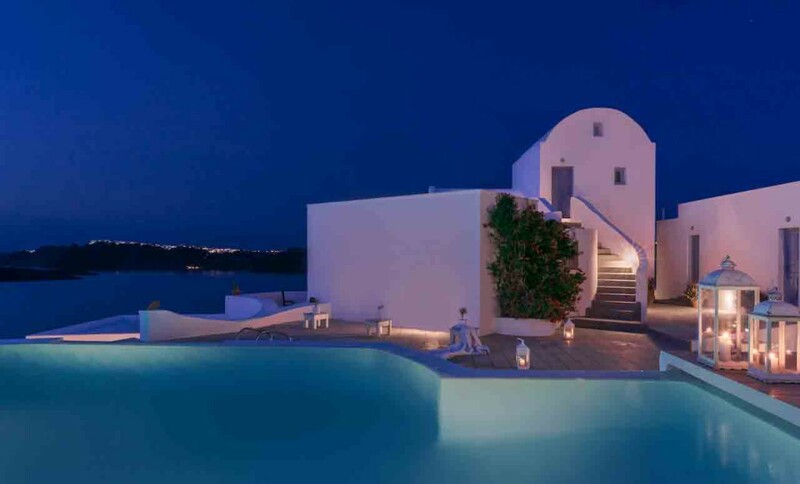 Apanemo offers everything you could wish for to experience the perfect holiday. A sanctuary stay with plenty of options to explore and enjoy, it surely is the jewel in the island crown that you’ll never want to leave behind.